Weclome to Dreamz Casino Free Spins Guide. We’ll make sure to help you find best free spins offers and guide you through all rules that usually applies! Free Spins bonuses are the most popular online casino bonus type, and as will notice, they are frequently offered at Dreamz Casino! In essence Free Spins are great from a player perspective as it gives an opportunity to win real cash for free. However, Free Spins comes in a variety of shapes and sizes and to fully utilize its potential value, we´ll guide you through the most common free spins types and offers! The value of a free spin all depends on the actual value per spin. In most cases, free spins given are based on the lowest bet level for the specific machine. So depending on which slot machine you are granted free spins, the value differ. Let’s take the online slot Gonzo’s Quest as an example, where the lowest stake is €0,20. If you receive 10 free spins – the total value is €0,20*10 = €2. However, this is not always the case at Dreamz Casino. The reward system is personalized and based on what you play, what bonuses you like and how much you play. That means that value per spin will be different depending on your historic game play. As a loyal customer you can get free spins with a value per spin that reaches €1 and more. 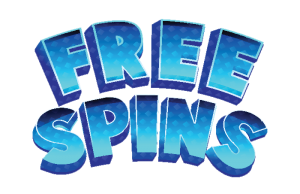 These higher value Free spins usually have different names, the most common name is BIG Spins or Mega Spins and they usually have a per spin value of €1 – 10 times more value for you as a player! As a general rule, free spins with higher value will be communicated to you when you are offered the bonus. If nothing is stated, the free spins most likely have a smaller value per spin. Hence to figure out what each individual Free Spin is worth for you when receiving a regular free spin bonus offer, simply open up the casino slot in “Play Mode” and then lower the Bet level and Coin value to the lowest alternative and check what amount is displayed as the total bet. Free Spins on Gonzo´s quest is one of our top recommendations to keep an eye out for, with its €0.2 minimum bet and a great golden bonus game. Regardless of how much the free spins are worth, No Deposit Spins are always a treat! Why? Well, you get a chance to win for free. On Dreamz Casino you’ll receive 20 free spins upon registration, depending on which market you are registered. You’ll also get a chance to claim more spins down the line. As a returning player on Dreamz you are highly rewarded – and no deposit spins are common to all loyal customers. So if you are looking for long-term value and rewards, we sincerely recommend to sign up on Dreamz Casino! Most Free Spins have a bonus wagering requirement, if nothing else is stated. This is usually a multiplier of your total Free Spins winnings, which you need to play through before the withdrawal of the funds is made possible. For example, if the terms and conditions state that “Winnings made from Bonus Money/Free Spins needs to be wagered 35x before a withdrawal can be made” and you have received 10 Free Spins on the Starburst slot. If you win €3 from the Starburst Free Spins, that means you need to bet an additional €3 x 35 = €105 in the casino before your Free Spin winnings convert from bonus money to real withdrawable cash. There are several additional aspects to the bonus wagering requirement that needs to be considered before you start to wager your bonus winnings, and with that said, it is very important to review the terms and conditions thoroughly. Different bonuses may have different wagering requirement, so do your homework and read the rules that applies or contact Dreamz support for further assistance! It is not uncommon that certain casino games are excluded from contributing to the wagering requirements. As a general rule, never try to wager a Free Spins bonus on table or live casino games such as Roulette, Blackjack, Baccarat or any non-slot game which you find in a land-based casino. Unless specified otherwise, these games never contribute more than ~10% to the wagering requirement, which makes it hard to convert any bonus funds to real cash using these methods. Additionally, there are usually a few slot machines excluded from any bonus wagering contribution, some of the more popular and most commonly excluded casino slots are Blood Suckers, Tower Quest and Jackpot 6000. Save yourself a lot of hassle by closely reviewing this section of the bonus Terms and conditions before playing. In most cases there’s also a maximum bet for wagering bonus winnings. These Max Bet rules are stated in terms and condition. Most common is a fixed maximum bet of €5. What is a good Free Spin bonus wagering requirement? We’ll keep this one simple, anything above 40x is on the higher end of the scale. ~35x is the average Free Spin bonus wagering requirement and can definitely be used to earn some cash. Obviously, any wagering requirement below 30x is therefore quite generous, but best of all is they are absolutely spins that are free from wagering. And as Dreamz online casino have a personalized rewards system, the wagering requirement will be different from player to player. True loyal customer will receive free spins bonuses without any wagering requirement at all.